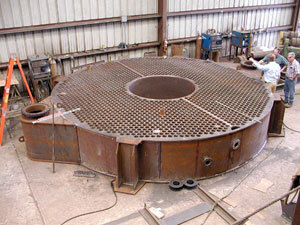 Precision Metal Services - petrochemical and sugar machine shop | William S. Nadler Jr., Inc. Precision Metal Services, (also known as PMS) was bought in 2004 by William S. Nadler Jr., Inc. in the Philippe Industrial Park in Gonzales, LA. This location is in the heart of the industrial corridor along the Mississippi River between Baton Rouge and New Orleans, LA. PMS has 3,200 square feet of shop space that sits on one acre of land. Precision Metal Services is a fully-equipped machine shop which services all William S. Nadler Jr., Inc divisions as well the petrochemical, heavy equipment, and sugar industries. PMS is committed to producing the highest quality machined parts at a fair and competitive price. 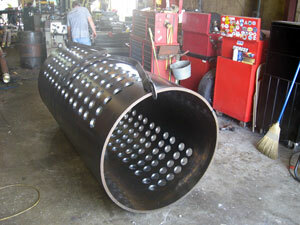 PMS is a Job Shop that employs machinists who are qualified, dependable, and safety oriented. We feel that our staff is competent that has the knowledge and experience to get the job done right. They are trained to meet the many needs of all the diverse industries that come through the shop. Whether it is small projects that may requires CNC capabilities to larger projects that require more specialized machining to meet our customers timely completion dates. 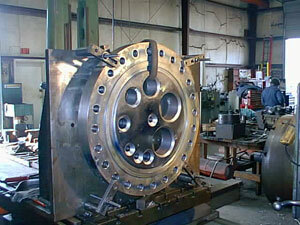 We have experience in machining a variety of materials: such as stainless, castings, and plastics. We can give a complete list of our machine shops equipment with their capabilities. With the added divisions under William S. Nadler Jr., Inc. we are able to meet fabrication and field services that other machine shops cannot provide. A complete list of our machine shops capabilities and equipment are listed below. 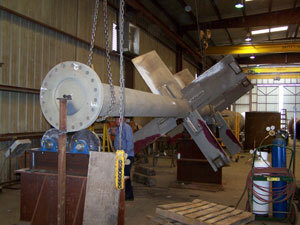 Repairing rotating equipment such as: pumps, blowers, turbines, centrifuges, mixers, impellers, and gearboxes. Rebuilding and repairing gearboxes as well as replacing or re-cutting gears. Various additional work items include pump and propeller shafts; chip and rotary feeders; pump bowls, clarifier gearboxes and extruder screws. Mitts-Merrill #3 with 15” Stroke x 1 ½” cap.